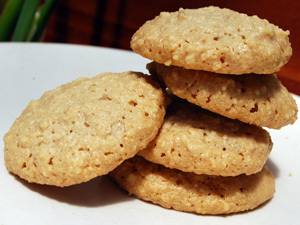 Almond flour recipes have been around for centuries, probably longer. Baking them is fun, and the results are really satisfying. You end up with something you can really feel good about eating: high in protein, gluten free, and low carb if you use an alternative sweetener like palm sugar or stevia. Making almond flour can be done by grinding almonds in your food processor or a coffee grinder. Just be sure to pulse it on and off, and not leave it running or you’ll get almond butter. But if you use a lot of it, like I do, you’ll probably want to buy some. Keep in mind when you buy almond flour that brands vary a lot by particle size. You can see the difference between two popular brands of blanched almond flour in my review, where I include tips for the best kind to use depending on your recipe. What if you don’t have the recommended grind of almond flour? Read why it matters, and how you can solve this problem. 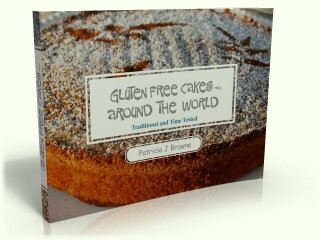 I have lots more almond meal recipes in the eBook—Gluten Free Cakes From Around The World. Check it out below. For a head’s up when I post new recipes to the site, follow me on Twitter or Facebook, and subscribe to my monthly ezine for a free recipe ebook. 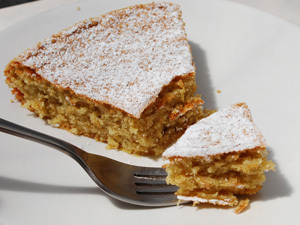 Recipes of all kinds: flourless, grain free cakes and cakes with grains like rice and corn. Recipes with or without nuts. Chocolate, orange, lemon, almond, cinnamon: many mouth-watering flavors, many traditions.